In this season of frenzied liberal assault on the incumbent president and the almost uniform view of the long-standing bipartisan political elite of the United States that President Trump is a maniac, any falsehood about him or act of obstruction is justified in damaging his presidency, impairing his ability to govern, and bringing forward the swiftest possible return of the status quo ante-Trump. It is now routine for the principal outlets of media mythmaking to invoke the legacy of Richard Nixon confected by his accusers of long ago. The particular myth that has for several years been the preferred falsehood to resurrect and hurl at Mr. Nixon as if it were a law of Archimedes is that he sabotaged the Vietnam peace talks when he was a presidential candidate in 1968. Journeyman liberal historian Robert Dallek in the preface to his recent biography of Franklin D. Roosevelt stated in passing as indisputable fact unworthy of elaboration that Richard Nixon had violated the Logan Act of 1799 at the end of the 1968 presidential election campaign when he secretly advised the government of South Vietnam to abstain from cooperating with President Johnson's peace initiative. There are indeed parallels between left-wing media treatment of President Trump and President Nixon. The fragmentary notes cited by the Times no more constitute proof of Nixon's engaging in illegal activities than President Trump's counsel's writing a tweet (a tweet that could be read as indicating that the president might have known that General Flynn misinformed the Justice Department as he had misinformed the vice president about contacts with the Russians when he fired Flynn) is substantial proof of the president's obstruction of justice and therefore of his impeachability. The wish is father to the thought. 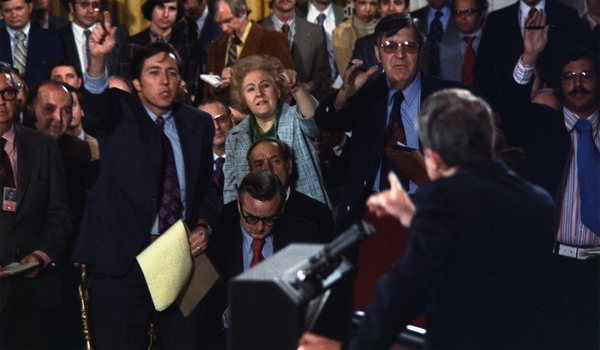 These liberal hysterics, in their demented fury against the elected leader of the country, in the case of Nixon and Trump, leap like gazelles from innocuous or ambiguous asides to an instant convention of certain proof of criminal wrongdoing; they imagine they build their feeble arguments by citing historical precedents flimsily constructed from the same whole cloth of their malicious imaginations. In fact, in the tumultuous election of 1968, the real skullduggery was President Johnson's claim of a (completely fictitious) breakthrough in the peace talks in Paris a week before the election in order to generate, as subsequent history proved to be the case, a totally unjustified sense of optimism that peace might be near on an acceptable basis. It was an absolute falsehood from A to Z. There had been no breakthrough and yet Mr. Johnson announced that the talks should resume because of a positive response from Hanoi and that the South Vietnamese government and the Vietcong would be "invited" to attend. There is not one shred of evidence that Mr. Nixon or anyone acting for him had any direct contact at all with the government of South Vietnam at this time. The associate chairwoman of the Republican women's campaign that year, Mrs. Anna Chennault (widow of World War II Air Force general Claire Chennault of the "Flying Tigers" in China), was a friend of the president of South Vietnam (Nguyen Van Thieu) and visited him occasionally. But there is no evidence whatsoever that she transmitted a message from Nixon or anyone else that constituted an attempt by her, acting for anyone, to conduct or influence the foreign policy of the United States. This is merely another in an apparently endless sequence of outrageous defamatory falsehoods of decaying Nixon-haters, throwing muck at his imperishable memory like people conducting a mockery of abstract art by throwing blobs of paint at a distant canvas. The South Vietnamese president needed no advice from anyone on the matter of which American presidential candidate he was likely to find more congenial. There is certainly a parallel between the diluvian imputation of discreditable motives and actions to Mr. Nixon, who was in fact one of the most successful presidents in American history, and the mindless portrayal of Donald Trump as a feckless monster slouching off every day to bring America into more profound perfidy and the world closer to destruction. Specialists in aberrant mass psychology will one day derive great interest and perhaps generate much enlightenment on what it is that has possessed a wide swath of highly intelligent and generally civic-minded Americans to lose their minds on the subject of President Trump. The hatred of Nixon was a little more comprehensible because of the role he played in generating support for the Cold War and resistance to Soviet encroachments and some of the gratuitous and nasty things that he said and did in those efforts, including some reflections on President Truman, Secretary of State Acheson, Congressman Voorhis, and the unfortunate darling of the contemporary left, former Soviet spy Alger Hiss. It is ironic that Donald Trump's most fanatical critics in the media and among the Democrats have ever more frequent recourse to precisely the liberties with the truth that they find so irritating in him. The immensely representative congressman of the world capital of opinionated stupidity, Hollywood, Congressman Adam Schiff, has for over a year constantly incited the inference that the president has committed treason, and when even parrots of this view and lapdogs of the Trumpophobic left such as CNN's Jake "drip, drip, drip" Tapper (the quote refers to Tapper's perception of accumulating revelations of Trump-Russian collusion, of which there have been none) ask Schiff to elaborate, he swaddles himself in unctuous references to his duty as a member of the House Intelligence Committee to be discreet. CNN's lies about Trump have been so numerous and egregious and so widely recirculated, they now constitute one of the most disgraceful chapters in the modern history of the U.S. national media. This charade will not end in the premature departure of Trump from the presidency because nobody near him has done anything inappropriate. Comparisons with Nixon are unfounded except that there remains a very inconclusive amount of evidence that Nixon himself committed illegalities, though some around him certainly did. The best possible outcome is that in patiently waiting for the shabbily conducted Mueller investigation to clear him completely, Trump will not only be vindicated; his enemies will sustain such a bone-crushing humiliation that this practice of trying bloodlessly to assassinate presidents will end. In that atmosphere, Richard Nixon will receive the fair upward revision of collective historical opinion that he richly earned.